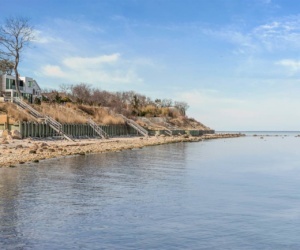 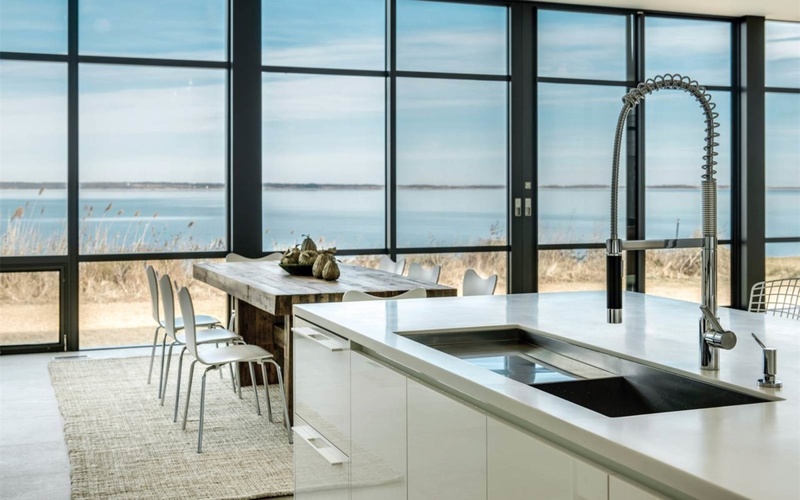 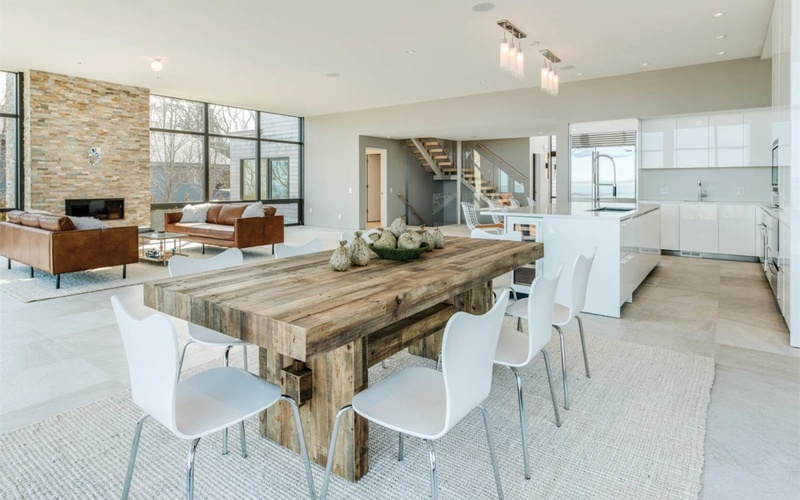 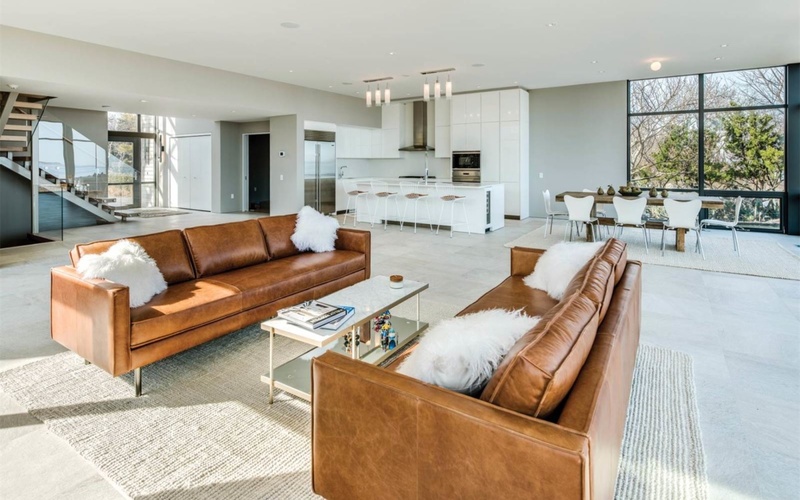 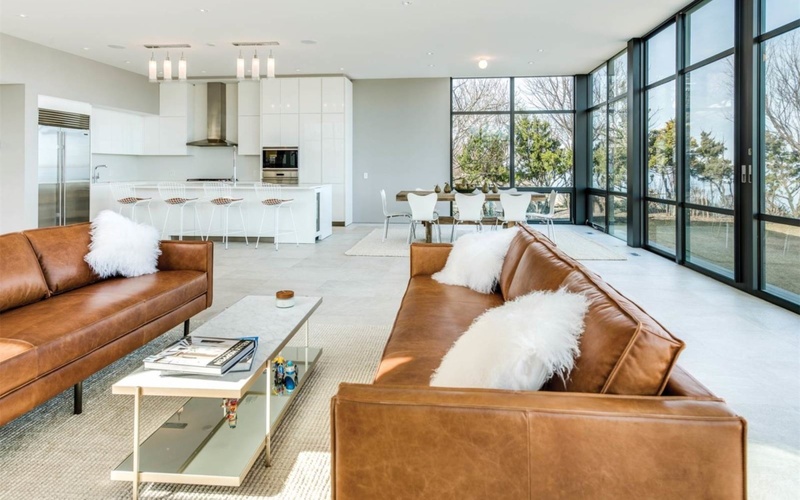 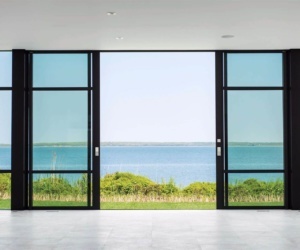 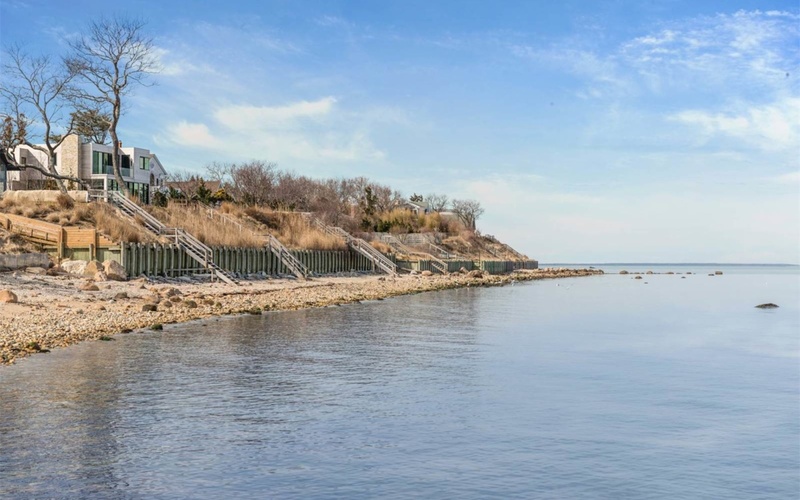 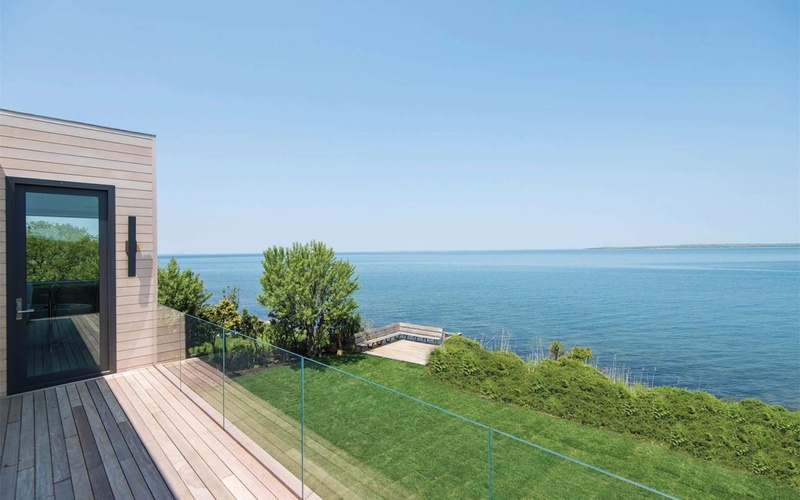 On a bluff 20+/- feet above Gardiners Bay is the site of this brand new stylish modern home with views of Gardiners Island spanning from the North Fork to Montauk. 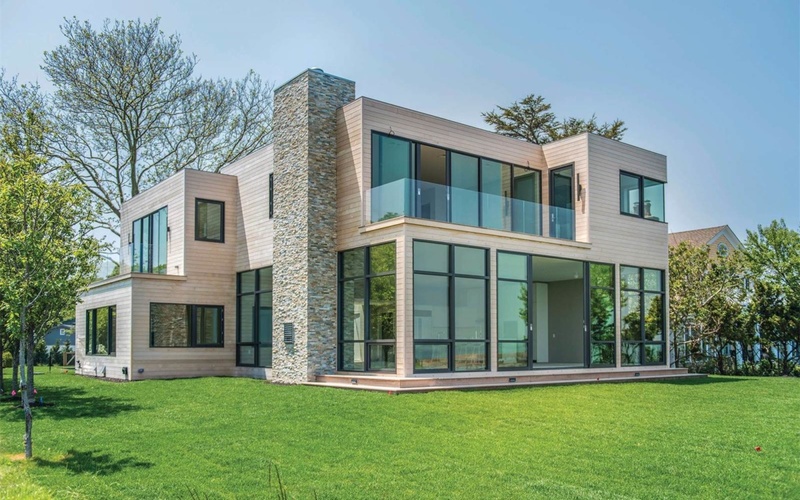 Once again Barnes Coy has created a waterfront stunner both in quality and style. 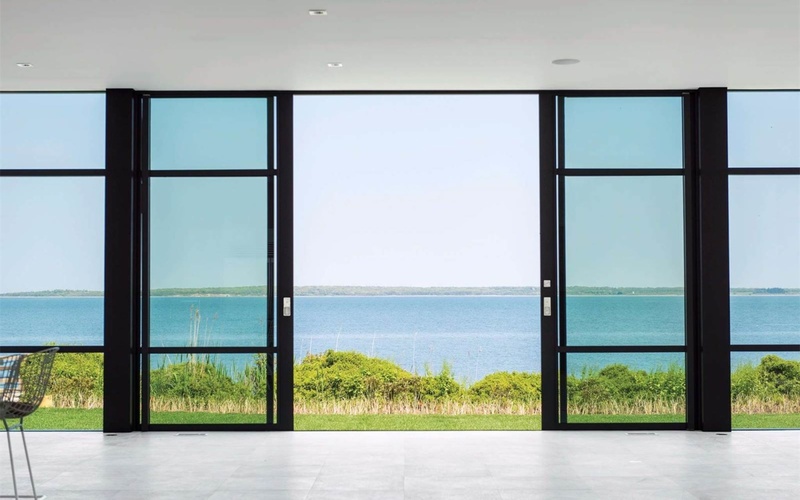 Over 4,900+/- sq. 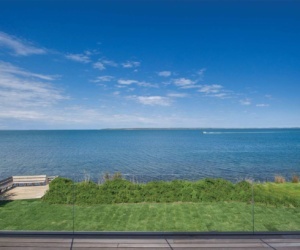 ft., the home comprises five/six bedrooms and six and one-half baths, a heated gunite pool, two fireplaces, private stairs to the beach and rights to the marina and lifeguarded beach, hurricane rated system Fleetwood doors and windows, six-inch maple floors and an EPDM roof system for extreme durability. 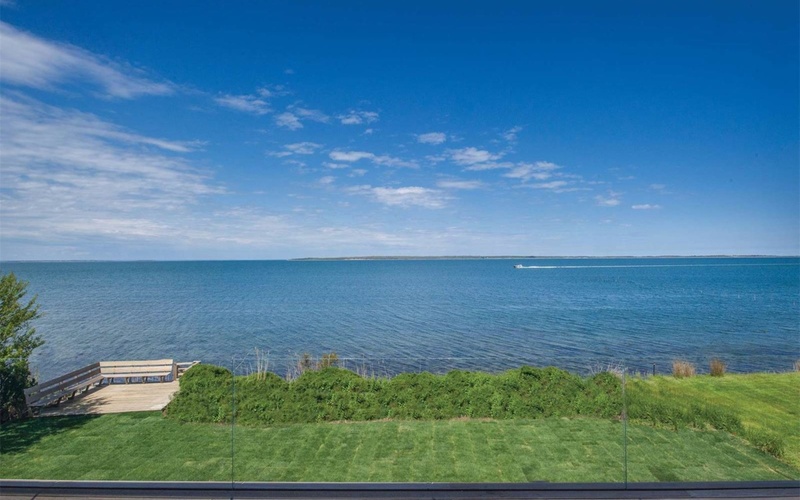 Upon entering the double height glass foyer your eye is drawn to a wall of glass showcasing captivating water views. 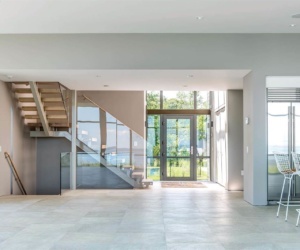 Flanking the foyer is a den and an en-suite bedroom. 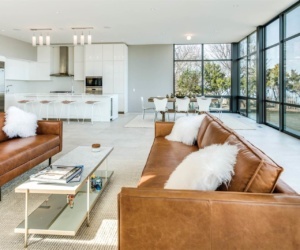 The remaining first floor is an open floor plan with extra high ceilings. 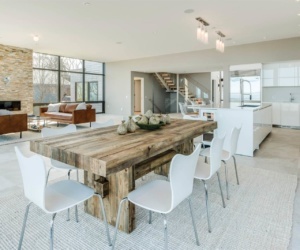 The living room with a stacked stone floor to ceiling fireplace opens to the sophisticated eat-in kitchen constructed to the highest level. 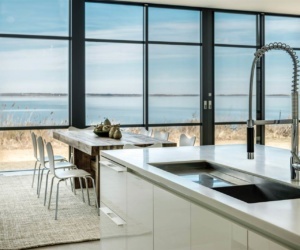 The custom Italian cabinetry and an extensive appliance schedule is any chef’s dream. 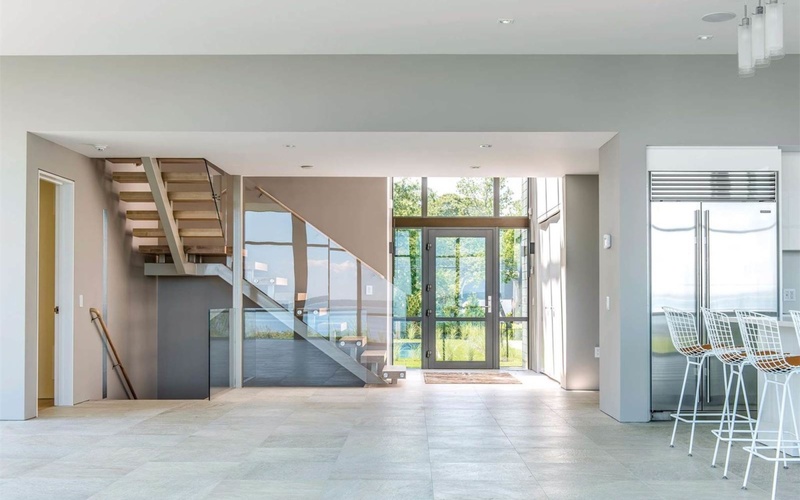 The floating staircase with glass enclosures takes you to the second floor with two additional en-suite bedrooms with outside decks (glass enclosures) and a master that will take your breath away. 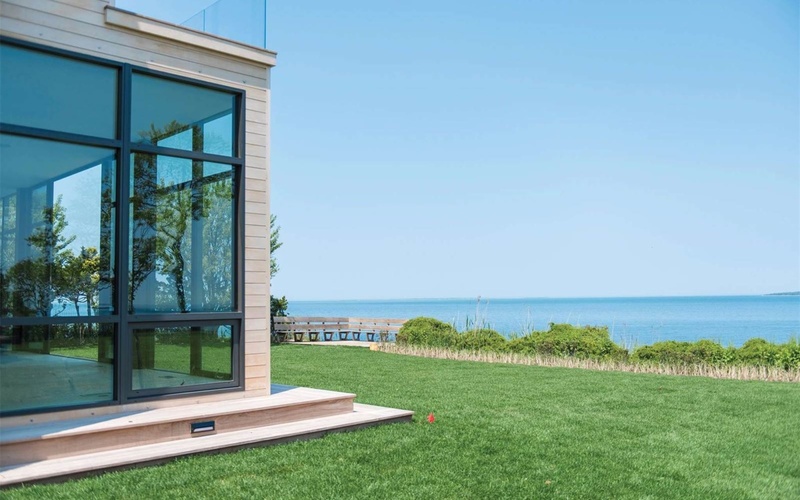 At almost any angle your views are endless. 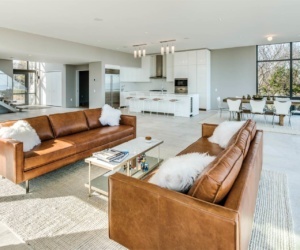 The master bedroom has a beautiful stacked stone fireplace with its own private balcony. 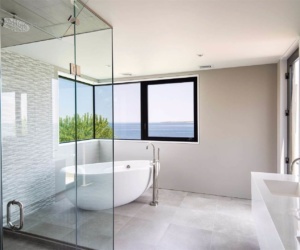 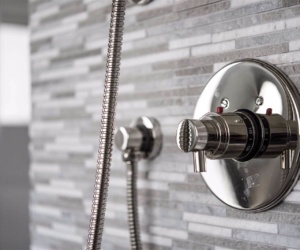 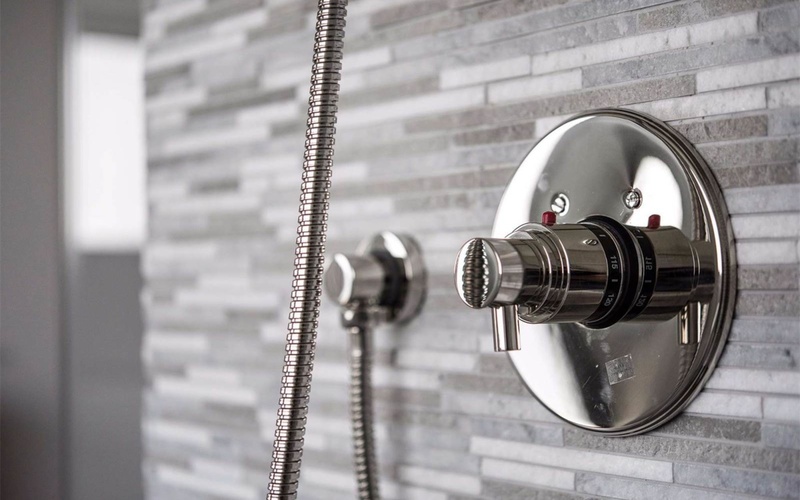 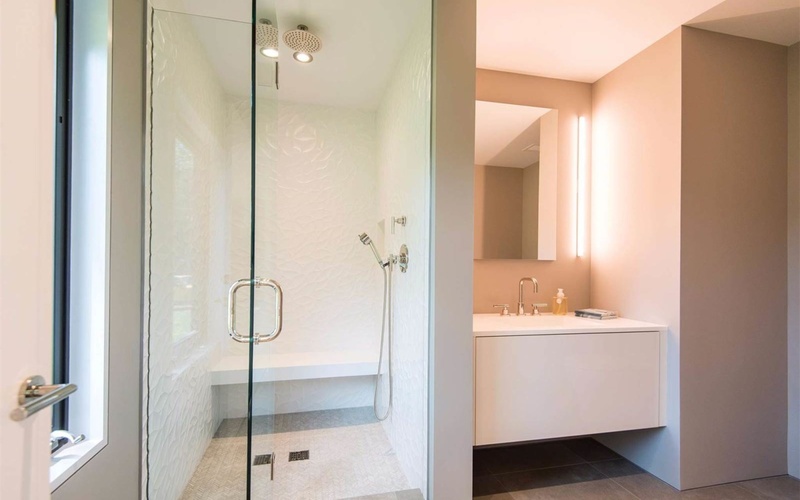 Master bath has a very large walk-in closet, a steam shower, and a tub overlooking the bay. 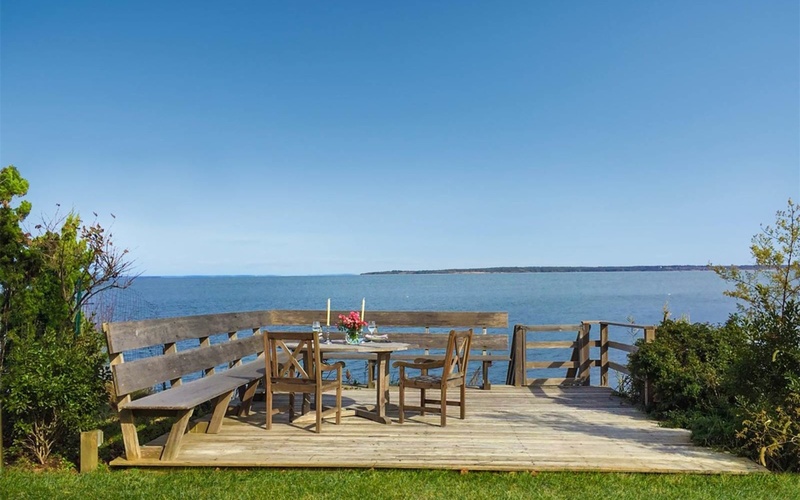 Completing your waterfront experience, enjoy a dinner/cocktail party on the rarefied large dining platform at the bluff’s end.